On Thursday, thousands of students across England and Wales collected their long-awaited A-Level results. Let's see how the country faired. A-Levels are also known as "Advanced Level" for short. They are exams students can undertake as a springboard towards University or a higher-level Apprenticeship. This cohort tried reformed, harder linear exams. The first results from these were published yesterday. In England, there was a rise in students achieving top grades, A and A* grades. 26.4% of exam entries were graded A/A*, up 0.1% from 26.3% in 2017. However, the overall pass rate dropped from 97.9% to 97.6%. The most popular subject in England taken by A-Level students is Mathematics. Around 97,627 students in England took Maths exams this year. There was a similar story to students in Wales undertaking their A-Levels. However, in Wales, they have stuck to the old, modular style of A-Levels. Completing one year of AS exams and a year of A2 exams. AS exams are worth 40% towards their final grade and A2 exams contribute 60% towards their final A-Level grade. 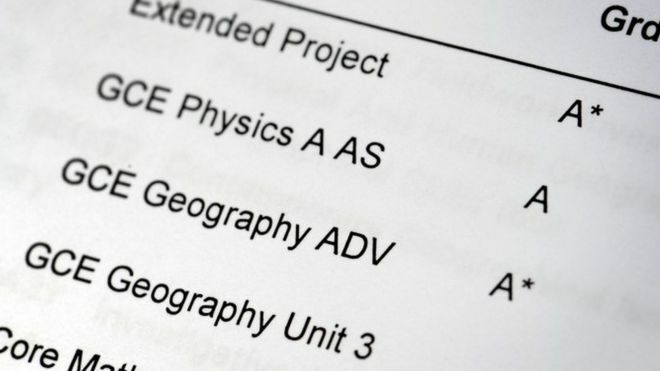 There, again, was an increase in top A/A* grades in Wales. 26.3% of students in Wales achieved top grades, A + A*s. This is the best result in Wales for top grades since 2009 - nearly a decade. Students achieving A* grades in Wales mounted for 8.7%. This is the highest amount of students achieving A* grades since the grade was introduced to A-Levels in 2010. Wales is also outperforming England in A* grades by 0.7%.